In case you missed it here is the full Panasonic Photokina announcement. Ahead of the anticipated release of the Reflex model I. later this year and in a Photokina 2018 preview special, we are proud to present to its audience, the first in a line up of three full frame lenses; The Reflex 40mm f/1.8 comes ahead of a 75mm f/1.8 and a 24mm f/1.8, completing a series of large aperture primes. 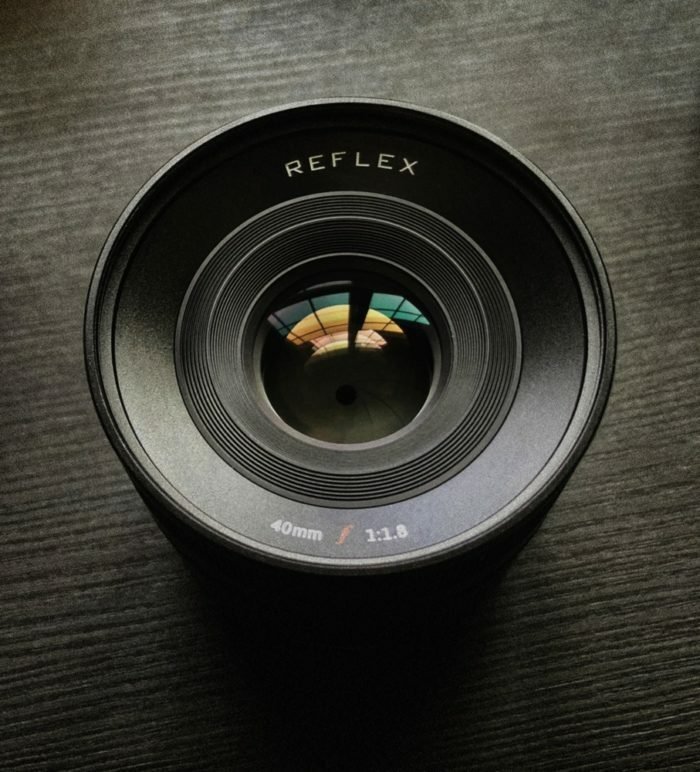 The Reflex I accompanying lens series have been optimized for both SLR and mirrorless photography with a compact form factor, carrying a double gauss lens design that signs for an organic look and smooth bokeh, making it a light and ideal daily shooter for both analog and digital photography. Furthermore, it features a clicked/step-less aperture ring for videography and cine adaptation and a large focus-ring rotation angle which enables for highly accurate focusing. While being presented at Photokina in a native Reflex AR-i, Sony E and Canon EF mount, mirrorless versions will also become available in Nikon Z, Canon RF and Leica/Lumix L mount or to Fuji X and Micro 4/3 via adaptors with the EF version. The lens will be launched on Kickstarter mid November and will ship January 2019. Anticipated retail price will be under $400. 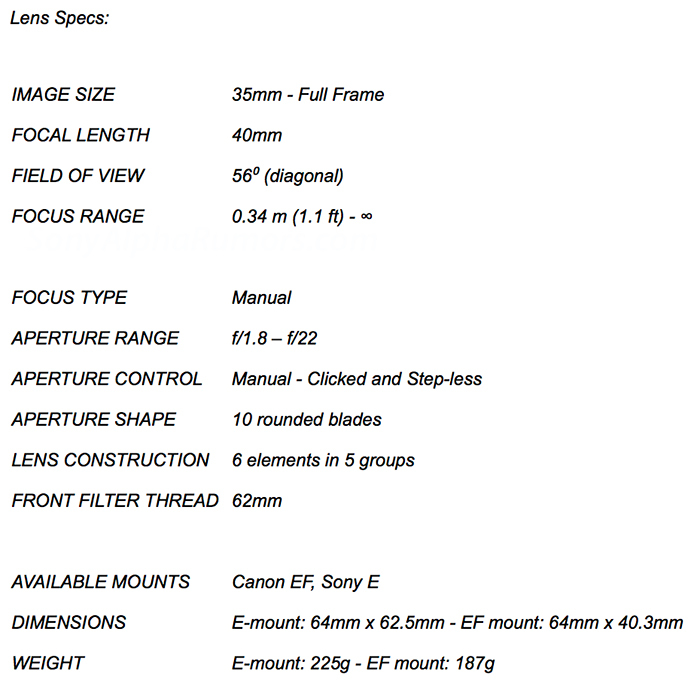 Note: The specs sheet only mentions two mounts for now. But L-mount will be added later! Two years ago they started to look for an alliance around a Full Frame platform. At the beginning of 2018 they approached Leica and Sigma. Panasonic has abandoned the smart phone project and there will be no follow-up of the CM1 (here on Amazon). I believe Olympus should have been on board with this!